So, you’ve decided to make the chop. Decision made, now it’s time to find the perfect short hairstyle for you. 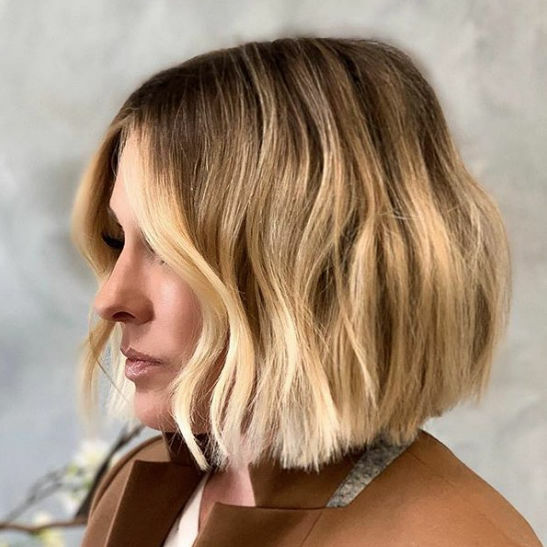 Whether you’re dipping your toes into the cropped category for the first time or merely changing up your already-shorn strands, we’re here to report that there’s a bob haircut getting more attention this year than ever before—and it’s about as wearable and beginner-friendly as it gets. Not new, but definitely reinvented, say hello to the A-line bob. 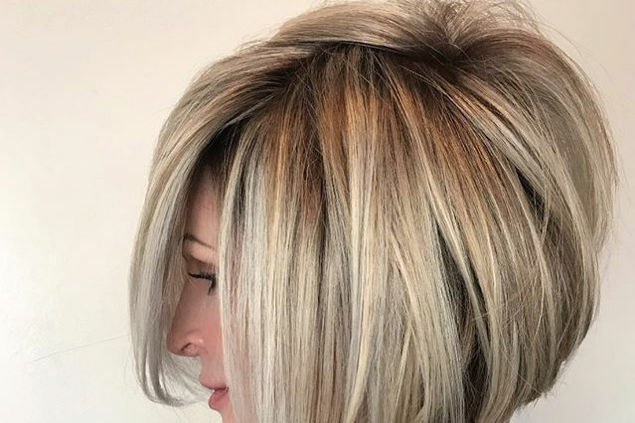 What makes this cut be considered “A-line?” An A-line bob falls longer in the front than in the back, which is a detail you can make as slight or bold as you’d like. Unlike a graduated or inverted bob, the A-line bob haircut does not have stacked layers in the back. And the best part: This bob is versatile in a major way. Make it blunt or textured with layers, let it graze the chin or hang lower along your collarbones, and—our personal favorite—wear it to match your style, whether that’s soft and classic or sharp and edgy. Need inspiration? Here are 15 examples of the A-line bob cut to take to your stylist. This classic, trendy hairstyle is one of our favorites year-round, but the bob is especially chic and light for spring. Tease this easy-to-manage look at the crown for body, or curl your bob for a dressier style. It's almost universally flattering, and it's much easier to handle than grown-out winter locks. Be on the lookout for the full story of how to style your bob in our April 2017 print issue. The best thing about an A-line bob: It can still be layer-free and angled at the same time. We’re taking the subtle A-line bob down a few centimeters, making it all the more versatile. We haven’t seen anything sweeter than this soft short bob in a while. We’ll take it. Here’s a tip: The collarbone is the most universally flattering point to hit. This bob has just a subtle hint of an A-line finish. Pump up the volume with this rounded bob. The shorter backside will only help your plight. We see your angled bob, and we raise you ultra-sharp ends. This bob is something to reckon with. If this doesn’t give all the motivation you need to bring that bob up a few inches, we don’t know what will. The texture is everything. Two words: Easy and breezy. That’s all this long bob has to say. Keep the layers airy to get this sort of movement. Enter: the most low-maintenance take on this bob trend. The A-line is just barely there, giving it a secret touch of style. For the wavy-haired gals out there, the no-fuss bob is a no-brainer. Let those waves frame your face, and that’s all you really need. Play up those angles, and in turn they’ll play up yours. That’s a fair trade in our book. This cut feels like an edgy twist on the classic chin-grazing bob. Even curly girls can get in on the action, don’t you worry. 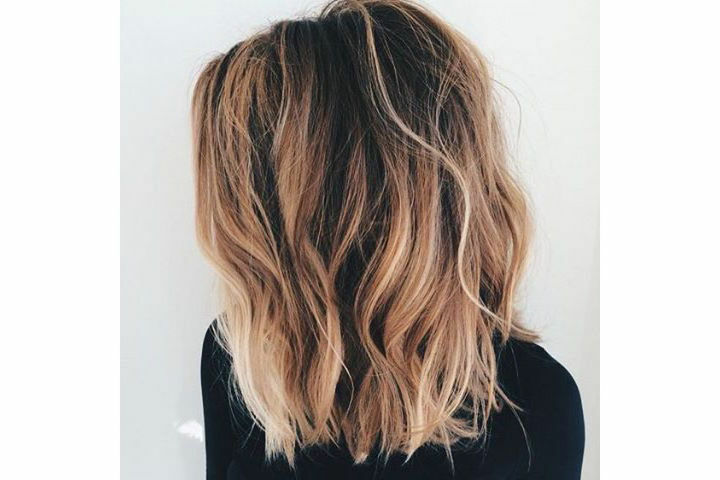 This balayaged bob hits all the right (angled) notes. If you’re scared of making the chop, this transitional length will keep your locks long up front. But you still get that flattering A-line look. We’re taking “smooth” and “silky” to the next level this year, ladies. This cut is for the boldest of bob-wearers.